I was looking for some contrast for the flash of red month, theme "contrasts". Well, here have some contrast to my other pictures, the waterfall-fairy and ... a waterfall, als well. Beautiful contrast, love your fairy! 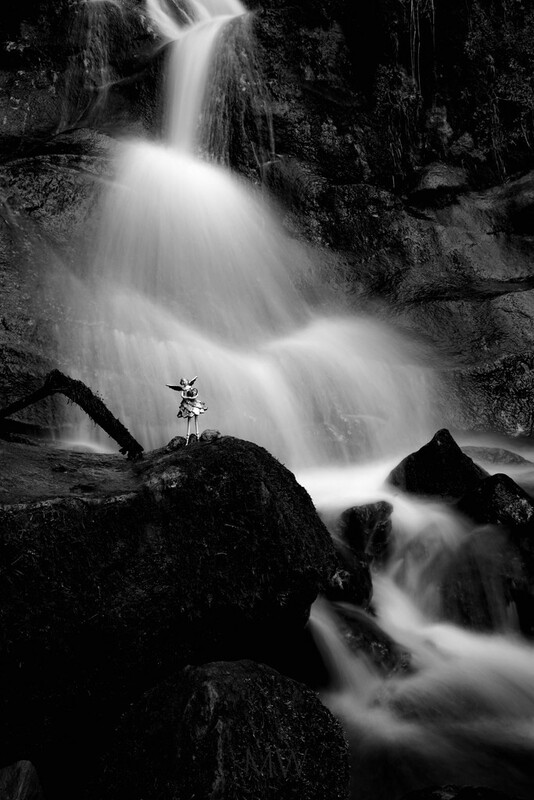 Stunning waterfall in b&w. Love the fairy. Oh, she's wonderful, standing there by the smooth waterfall! Congrats on making TT with this! Mona - you should tag this for the B&W challenge "Fairy Tales"
Oh, rats! That really is too bad! It is a gorgeous shot!